Your veterinarian is the best and most reliable source for knowing which pet medications, treatments and other health & wellness products you should be using with your dog, cat or other critter but they aren’t always the least expensive source for buying them. There are some steps you can take to save money while making sure you use what the doctor orders (or recommends). 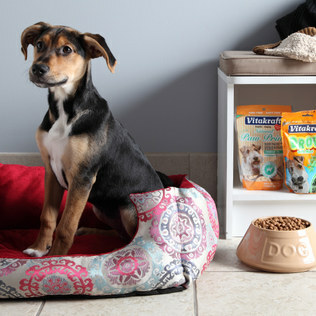 We’ve put together a few tips every frugal pet parent can use. Check them out and leave a comment at the end of the article, to share your own money-saving tips with us, too! Ask about generics or less expensive substitutions: a good veterinarian will be sensitive to your concerns about cost, and will be able to explain your options. Often times, there is a generic equivalent for pet meds, just as there is with human pharmaceuticals, and that can really help save you money. Know which prescription medicines are FREE: Our veterinarian actually clued us in to this one! Daisy needed an antibiotic one time, and it happened to be one that Publix (our regional grocery chain) has on their list of Free Prescription Medicines. So the Doc wrote out the Rx for Daisy and sent us over there. I was worried the pharmacist would think we were pulling some kind of scam, but she explained that it was perfectly fine and the system was there for customers to use whether for their human family members or their fur kids! (Always discuss with your veterinarian before filling a pet prescription at a human pharmacy. And always make sure the pharmacist is aware that the prescription is written for a dog or cat, etc). Many regional and national chains have their own lists of free meds for customers, so be sure to check. Always search for promo codes when buying pet meds & supplies online: online prices are typically already discounted and significantly cheaper than at the vet’s office or local chain stores. 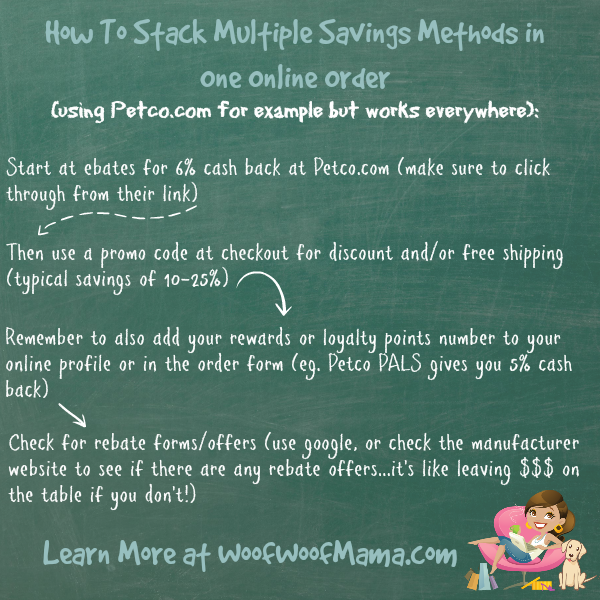 Stack some added savings by searching online for promo codes (also called coupon codes) when ordering from the web. A great place to start is right here on our blog! Just click here for all our recent Pet Promo Code Posts or use our Search box in the right hand sidebar. You can also post a request on our Facebook page if you want help finding a specific promo code, or email us! Save with ebates or other cash back and loyalty programs: We’ve posted about ebates.com several times and I use it ALWAYS! I’ve earned hundreds of dollars in cash back rebates and Amazon gift codes, just by starting my online shopping from ebates and using their links to popular stores including PetSmart, Petco, PetCareRx and more. Also be sure to take advantage of loyalty rewards programs like the Petco PALS rewards, where you earn 5% cash back on everything you spend in-store and online. Check for Rebate Offers: Search on Google and/or check the manufacturer’s website for special rebate offers and forms. Sometimes I also find rebate offers on the reception counter at the vet’s office or by the cash register at the pet store. 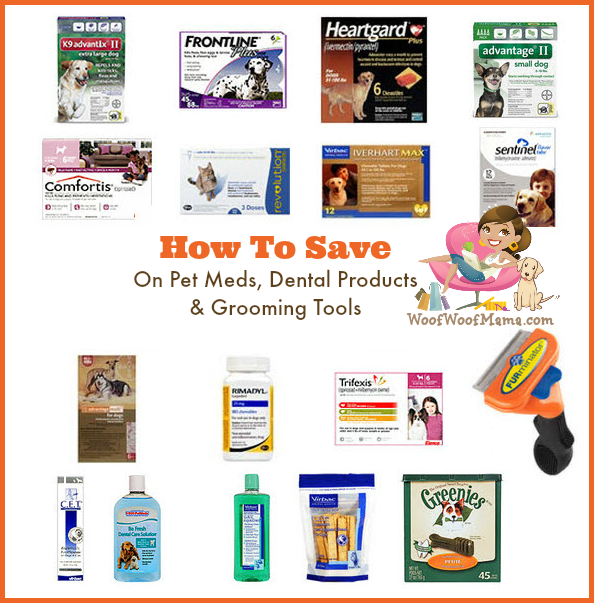 We hope you find these tips helpful, and that they save you money next time you need to buy pet medicines, health & wellness products, grooming supplies or anything else to keep your fur kids happy and healthy! After all, the more money we save on necessities, the more we have to spend on treats, toys and other FUN stuff! Got any questions, or other tips and suggestions? Leave us a comment to share them below! Did you hear that for the first time since it was introduced nine years ago, the price of Prime is going up? 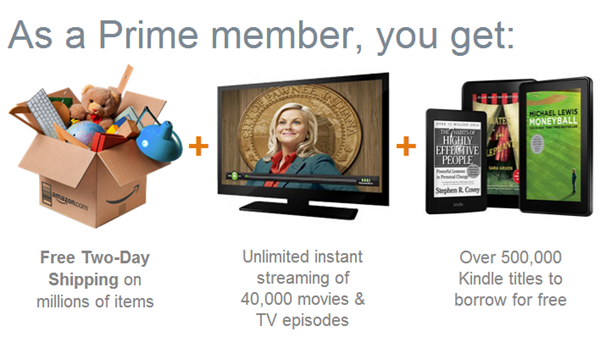 Effective 3/19/14 Prime members will pay $99 per year and Amazon Student members will pay $49. That means that you’ve got only 2 days left to join at the current price of $79 for Amazon Prime or $39 for Students and lock in the current rate for 1 year! Head on over to Amazon to read more and get your Amazon Prime membership before the rate increase! 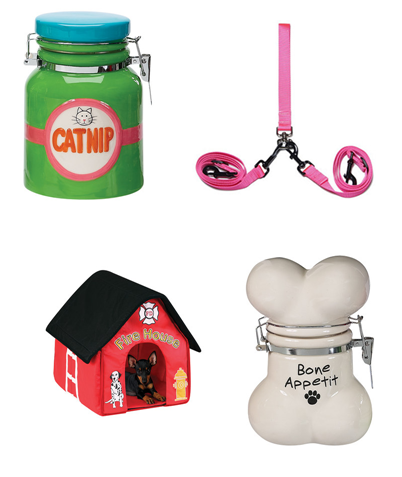 Pet Sale + Irish Home Accents and More CUTE Deals! 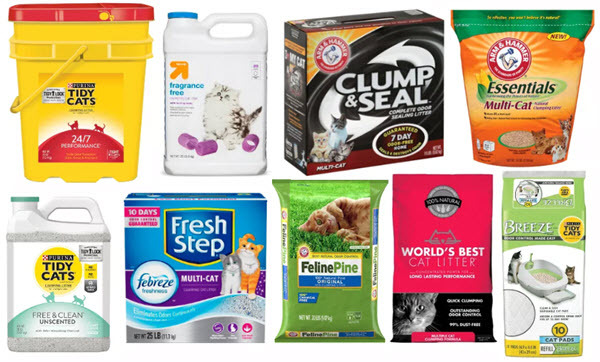 You might have heard about Zulily, the daily deals site for moms, babies and kids, but I’ve recently discovered that they often carry amazing deals for pets and home, too! Today is a great example with a pet sale on items including pet car seat covers, beds, treat jars and more! 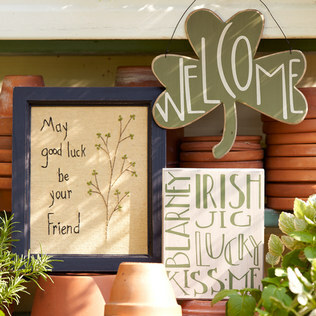 In addition to tons of cute deals for pets, I also found a super fun sale event over at Zulily for anyone looking for some Irish accents for your home for Saint Patrick’s Day (or any day)! Head on over and signup at Zulily.com to access these and more great sale events. It’s free to join and a super fun site for deals and unique gift items!